1. Always have a title for your posts. First of all, having titles for every post is a no-brainer. I shouldn’t have to point it out but my goal here is to help you, because sometimes we forget the basic stuff. I see many people write the title of their posts on their images, but not as an actual title. If you want to put the title of your post on an image, at least do both. And the next step pretty much explains why. 2. Use keywords (both on title and on photos). Titles are the best place for keywords. Their place is what makes them so strong. 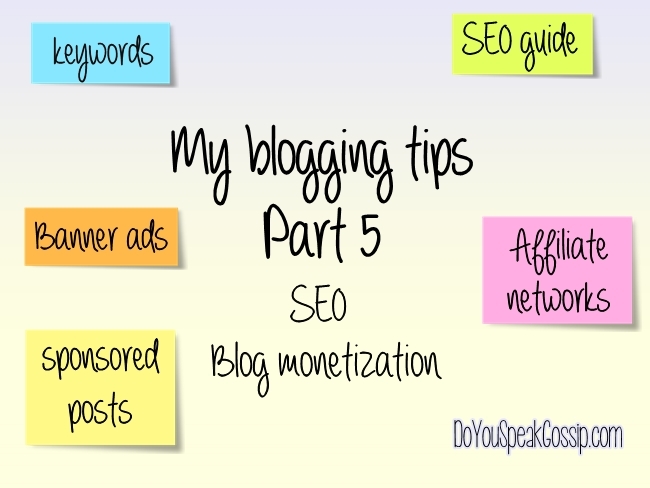 Use them in your favour, by putting the right keywords, and you’ll get more traffic for your blog. And the same goes for labelling your photos. You should never leave your photos without a name. For example: don’t let your photos with a name like this: IMG 8765. Instead, use their label in your favour so you’ll get traffic from search engines as well. Search Engine Optimization (SEO) is really important for blogs, but we’ll discuss this on future parts. 3. Use an intriguing title. Using an intriguing title for your posts, determines whether or not your post will be clicked by your followers to get read. Sometimes, we don’t have much time so we skip some posts on our news feed, which we may not find really important at that time. So make sure that your title is intriguing enough to make others want to click on it. 4. Use at least one image in every post. You should always have at least one photo in every post. This way, your text is easier to read, and doesn’t seem long and boring for your readers. Plus, it gives them a sneak peek of your post, before even clicking on it. 5. Pick a great image to be the first one on your post. This is completely connected to the previous tip. Your first image is what a cover is to a book. It’s the one that will get picked by most blog readers (like Bloglovin’), so make sure that it’s a great one, because it’s the cover of your post. If your photo isn’t really good, your readers may not choose to read that specific post. Pick a great first image, and your post will be read by more people, for sure. 6. Make sure that your images show on your RSS feed. Again connected to the previous one…If your images don’t show on your RSS feed, your readers won’t know what the post is about, and may not choose to click on it. 7. Try to have high-quality photos. Having a professional camera to take photos for your blog is not always necessary, especially if you are a new blogger. But high-quality photos are. Whether you’re taking photos with a DSLR, a point and shoot, or even your mobile phone, try to choose the best pics you took to use on your blog. If your photos are grainy, with poor lighting, high contrast and saturation, they lack the necessary quality to be used on your blog. Your photos can determine whether or not a visitor will stay on your blog to read more of your posts. So make sure to show your best photos on it. But remember: high-quality doesn’t mean a large file size. Keep your photos’ size low enough for your blog to load faster. 8. Keep the same width for all your images. 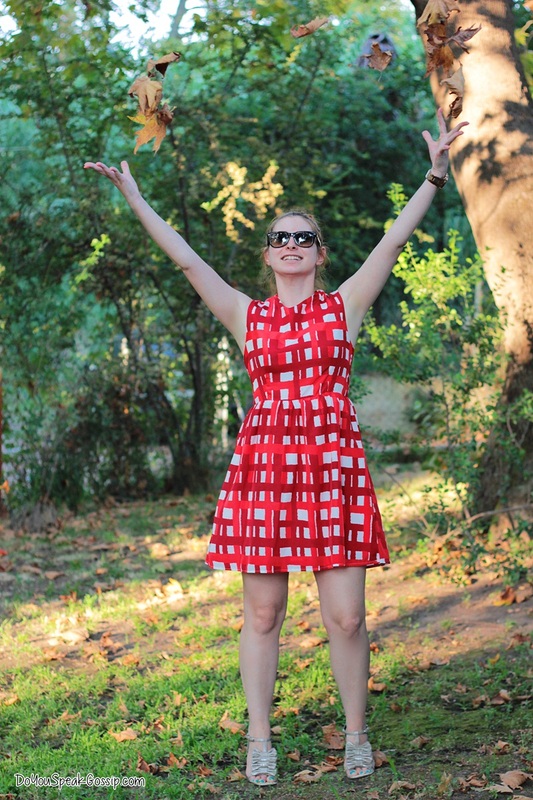 Something that many bloggers do wrong is not having the same width for all their photos. Having the same width for all photos, vertical and horizontal, is really important. First of all it’s easier for the eye, and secondly it looks better and more professional. The best thing to do is to resize all your photos in the same width, which will be the same as your text’s width, and it must take the whole main bar. 1. Keep a small size for your images. As I pointed out above, you should save your images in a small file size. This way your blog will load faster and you know how important this is. This is really important to all bloggers, new and old ones. ALWAYS use spell check before uploading your posts. I suggest using a text editor program like Microsoft Word, or something similar, which already has spell-check enabled, so you can be sure that your spelling is right. If you don’t have such program or you don’t have the time to write it somewhere else before uploading it to your blog’s editor, make sure to download a plug-in/add-on for your browser. Firefox for example has many useful add-ons you can use, and has spell-check add-ons for most languages. It’s really easy, and it’s really important to spell-check your posts. 3. Always proofread your posts before publishing them. 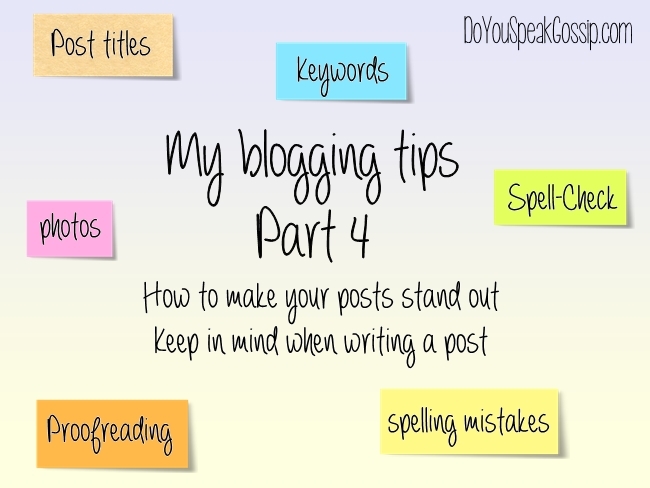 Even if you have a spell-checker, ALWAYS proofread your blog posts before publishing them, or have someone else proofread them for you, if you’re new at blogging. I used to do this when I first started blogging…All my posts were proofread by T. to be sure that I didn’t miss anything. When I felt confident enough, I started proofreading them myself. I tend to overdo it sometimes with proofreading, reading my text again and again to be sure I didn’t make any mistakes, but I want it to be as perfect as possible. English is not my native language, I don’t speak it fluently, and I’m sure I still make many mistakes, but I always do my best. If your English skills are not good, better give your posts to someone else to proofread them for you, or consider stop writing in English altogether. Sometimes I read posts that could be better written by using an online translator. If your English is not good enough, that’s ok, write only in your native language. 4. Keep an eye for common spelling mistakes, almost everyone does. Even after proofreading your posts, there might be some common mistakes that may have evaded your check. Some words have almost the same sound, and somewhere between thinking them and writing them, we change their spelling by mistake…That’s natural! And we usually catch these mistakes soon enough and correct them. But even native English speakers tend to make some big spelling mistakes. I really dislike reading some of these, and I feel bad if I made one too by mistake. Check out this article by the Oatmeal, to find 10 words you should stop misspelling, and a funny way to remember them (ex. They’re, their, there…it’s-its, you’re-your). 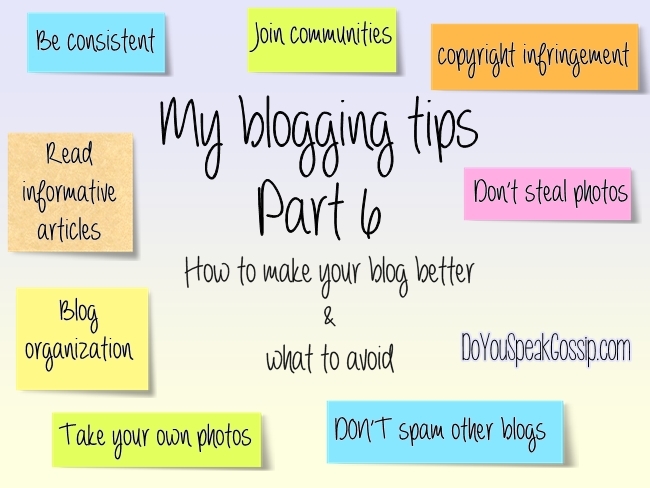 So this is the end of the 4th part of our blogging tips. Thank you for reading it and keep an eye for a new one next month. Check here for the 1st part (beginner’s guide to blogging), 2nd part (how to choose your blog’s design), and 3rd part (how to drive traffic to your blog). Check out below for related articles. – Are Your Titles Irresistibly Click Worthy & Viral?! 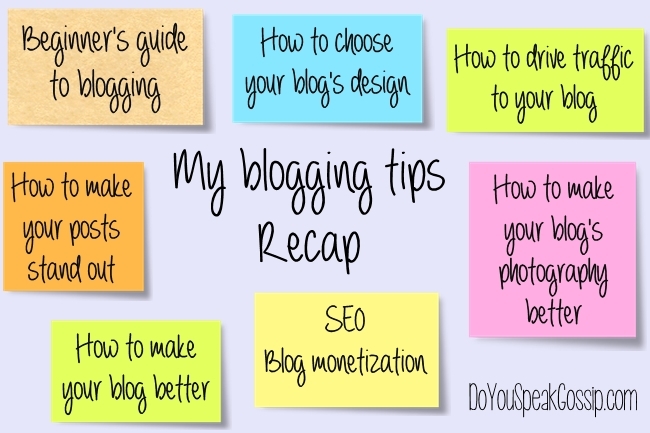 I always love your blog tips – your blog anyway! I loved these ones too! And I clicked on a topic – and it took me there, but by leaving your blog, so I came back to write a comment 🙂 I am lazy sometimes, hahaha, but yes, we should write a title for pictures too. I used to do that before 🙂 My sweet friend, I am a little drained, but will write when I get better. Guess what, family issues. I do feel sad, but will be better! Hope “Satuyrday’s event” (not to show it before you post 🙂 was great! Makia! Ah you’re right. I always forget to make the external links open in a new tab, because I always open them in a new tab manually. And I know some people get annoyed if a new tab/window pops up by clicking on a link. I hope you went there again, after your comment to read that post too. They’re really useful, and I hope that mine was useful too. I always put titles on my posts and images…It really helps with search engines. I’m the same today! We went to the beach, and took my first seem in the sea, and I feel so tired. I hope you feel better soon, because I know your issues are more important. I’m here if you need me. As for Saturday’s event, it went well, and I’ll post some pics, together with the outfit ones, tomorrow. Πολύ χρήσιμο ποστ μπράβο και ευχαριστούμε! 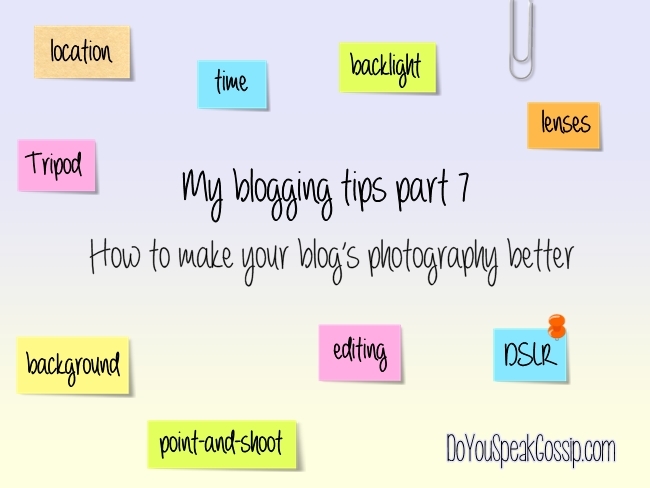 nice tips…although i’ve been guilty of bad pics and typos when i’m in a pinch, i do think it’s important. it takes me a long time to publish posts because i’m re-reading my text over and over. oomph. recently posted..dress as skirt. Oh we’ve all been guilty of some of these mistakes, but we must learn from them, and get better. Φιλάκια πολλά και keep going!! παρασκευη βράδυ διαβάζω το μπλογκ σου και σ’ευχαρίστω για τις χρησιμες συμβουλες. Μήπως εχεις καμια ιδεα τι μπορω να κανω? Geia sou Silia! Ti kaneis? Poli xairomai pou vriskeis xrisimes tis simvoules mou! Perissoteres plirofories, tha vreis edw: http://help.bloglovin.com/knowledgebase/articles/214435-why-don-t-images-from-my-blog-show-up-in-posts-on kai genikotera sto help section tou Bloglovin’. Ah merci! Δεν το ηξερα, θα το κοιτάξω παλι και θα επανελθω λογικα! the viennese girl recently posted..Birthday girl! ithela na se rotiso kati kai elpizo na min sou einai kopos na mou apadiseis…ithela na se rotiso pos mporeis kai kaneis kathe post se duo glosses..ennoo ta vimata.eimai kainouria blogger kai pragmatika tha me voithouses polu an mou peis. Fisika kai den mou einai kopos na sou apantisw. EInai xara mou na voithaw opou mporw! 🙂 Apla tha ithela na mou peis an to neo sou blog einai blogspot, ‘i wordpress, giati to diko mou einai wordpress, kai kata pasa pithanotita den isixioun ta idia…Proswpika prosthetw tin nea selida me kwdika…. Alla auto to kanw mono se osa post exoun poli megalo keimeno opws auto. Ola ta alla ta exw mesa stin idia selida. koitakse to blog pou eixa to diegrapsa giati den to ananeona katholou kai anevaza opote nane..se blogspot exo doulepsei mono..alla skeftomai to kainourio pou tha kano na einai se wordpress gt se blogspot den vrisko pos na to kano diglosso.kai an katalavo se wordpress pos ginete me auto tha epilekso na doulepso.an mporeis pes mou ligaki ta vimata i an exeis kapoio arxeio etimo me ta vimata tha ektimousa polu an mou to estelnes 🙂 euxaristo polu!!! Apo blogspot den exw idea giati den exw doulepsei pote panw s’autin tin platforma. Apo tote pou ksekinisa douleuw se olodiko mou site, panw sto wordpress.org. Vevaia den kserw an mporeis na to xrisimopoiiseis se blog pou einai hosted sto wordpress.com, pou einai i antistoixi dwrean platforma, kai leitourgei panw katw san ton blogger.